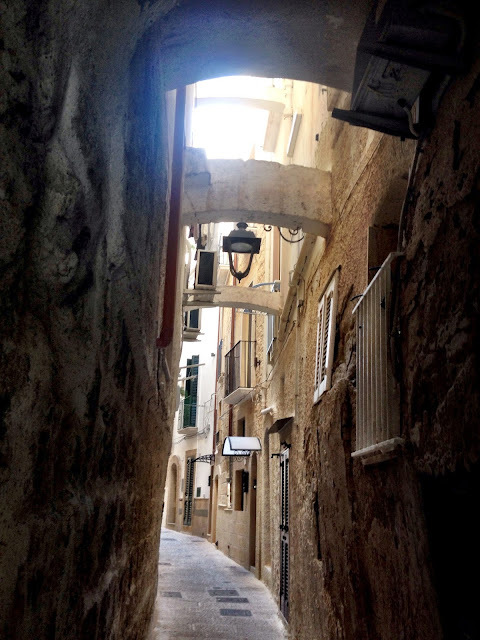 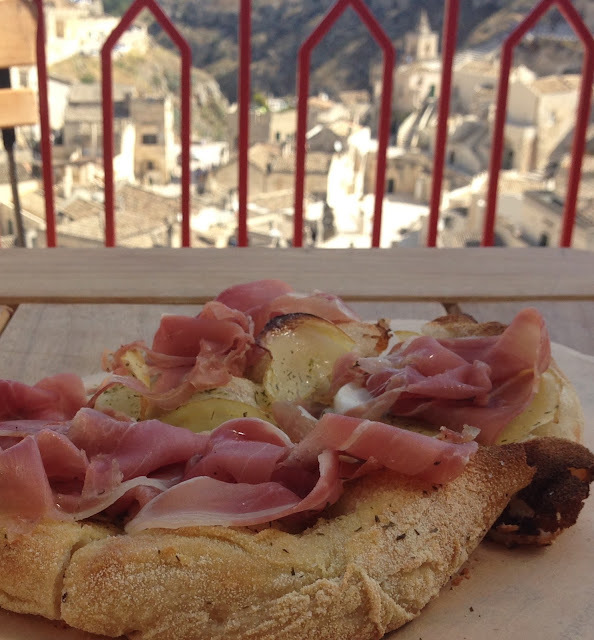 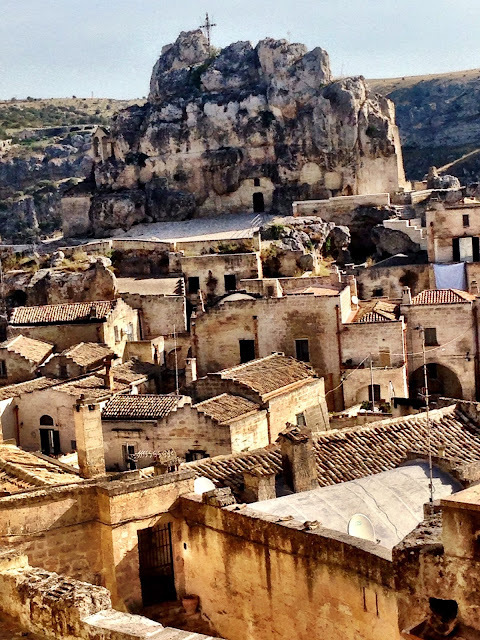 The ancient town of Matera with its cave dwellings carved into a mountainside turned out to be the surprise of our trip. 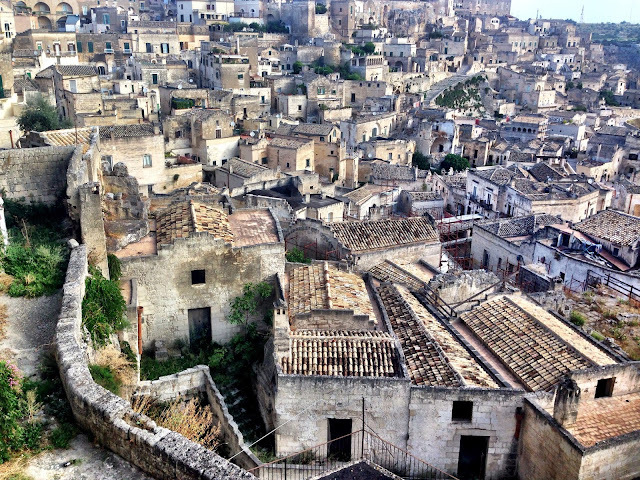 Craggily rewarding and rich in history, it was used as a film set for "Ben-Hur" and "The Passion of Jesus Christ." 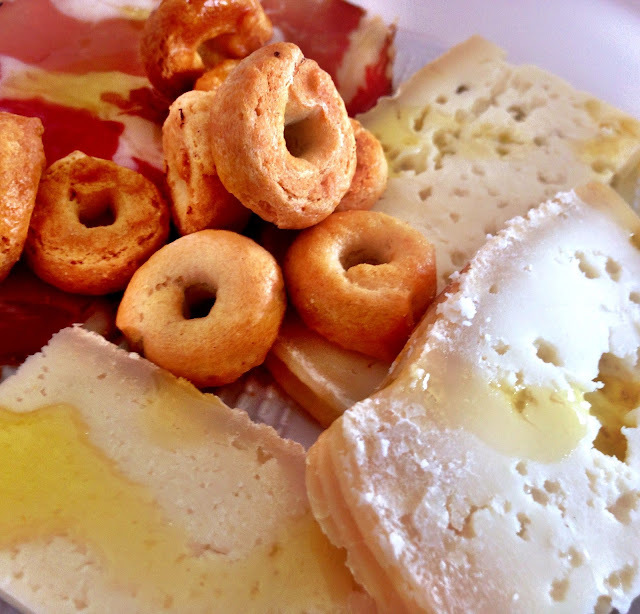 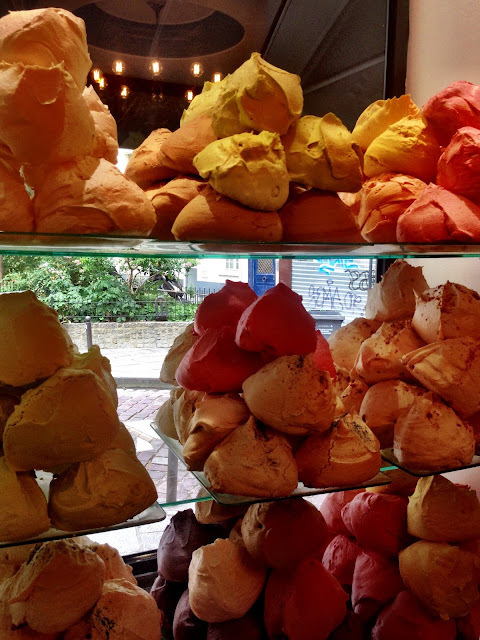 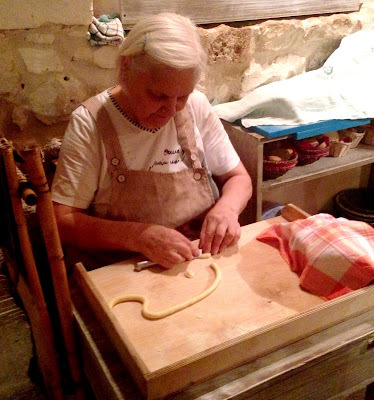 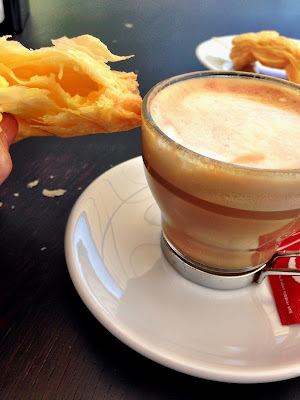 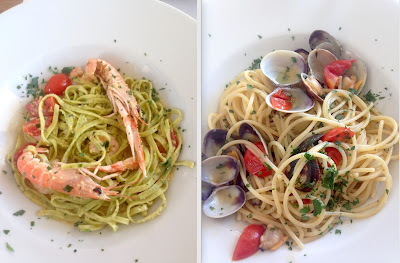 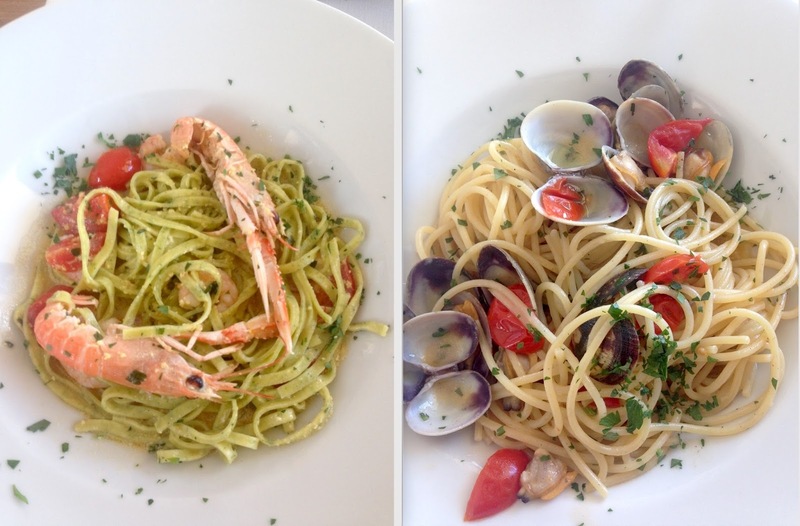 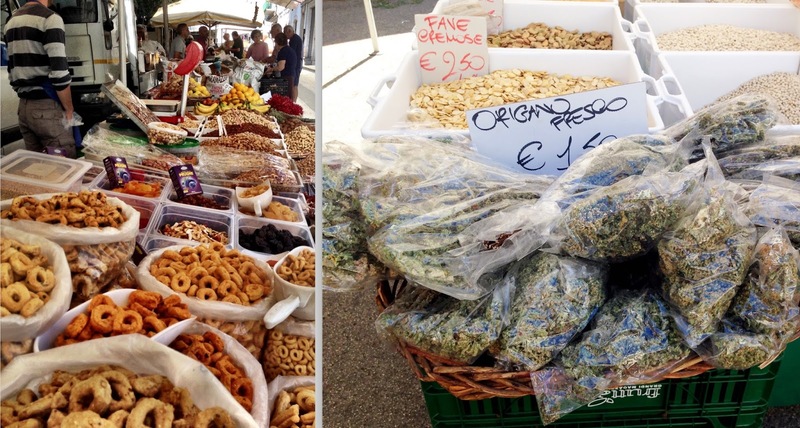 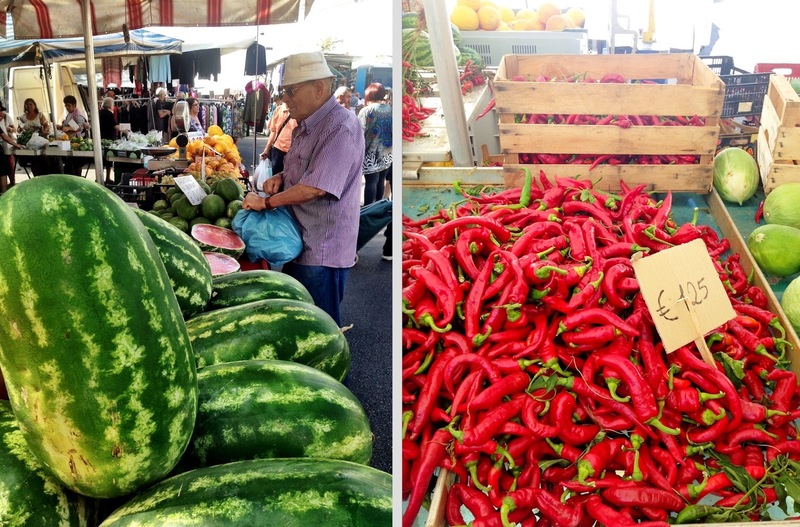 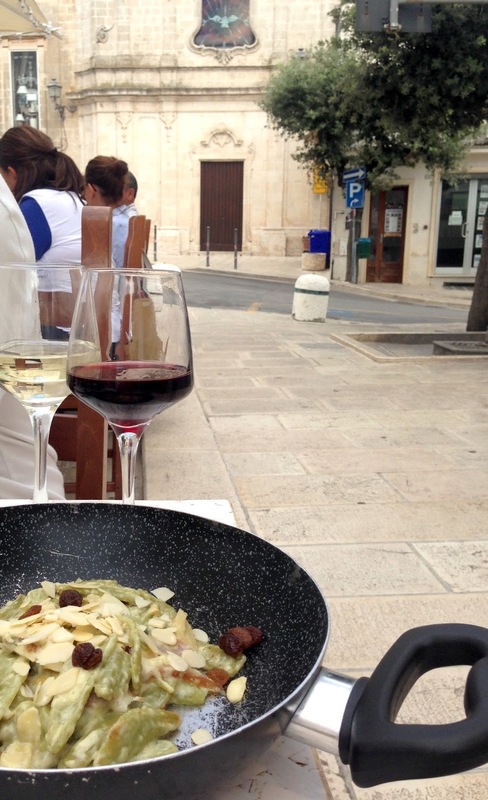 Today's photos focus on Apulian FOOD: Seasonal, organic, fresh from local farms.... And it's everywhere. 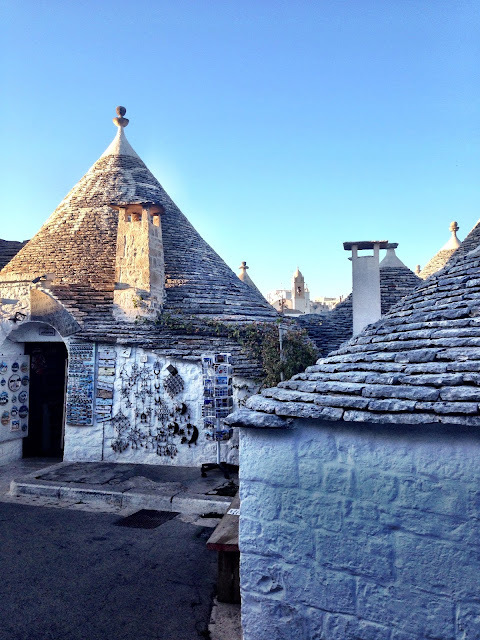 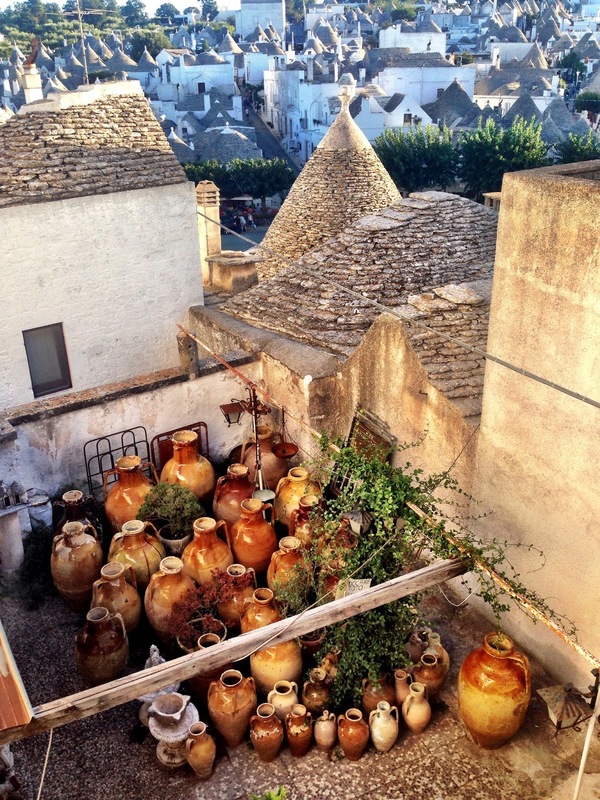 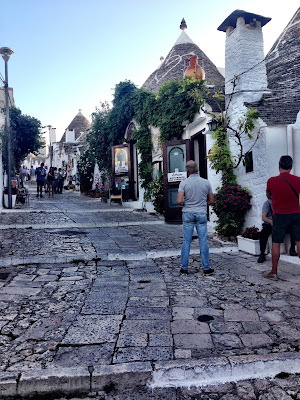 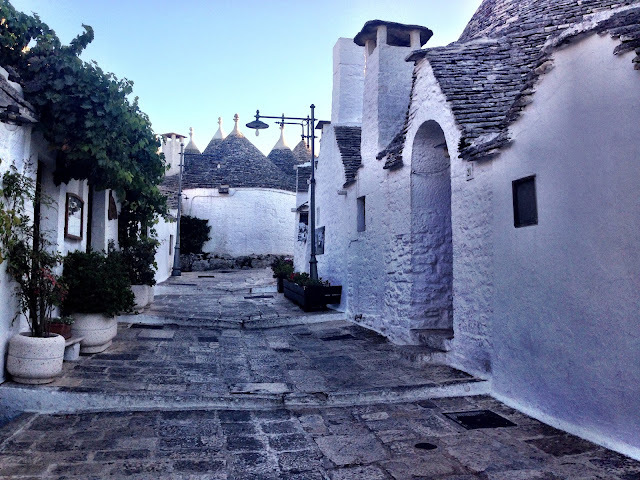 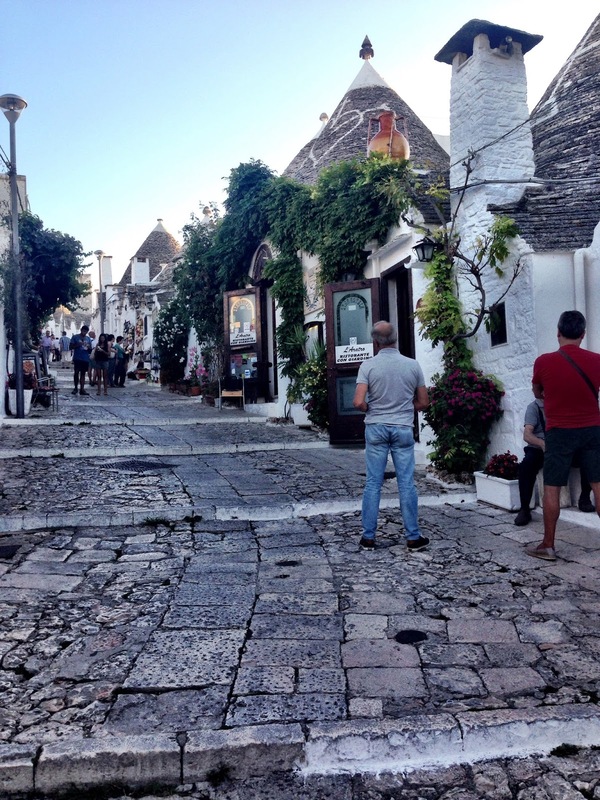 These cone-shaped Unesco-protected fairytale-like stone dwellings called "trulli" have to be seen to be believed. 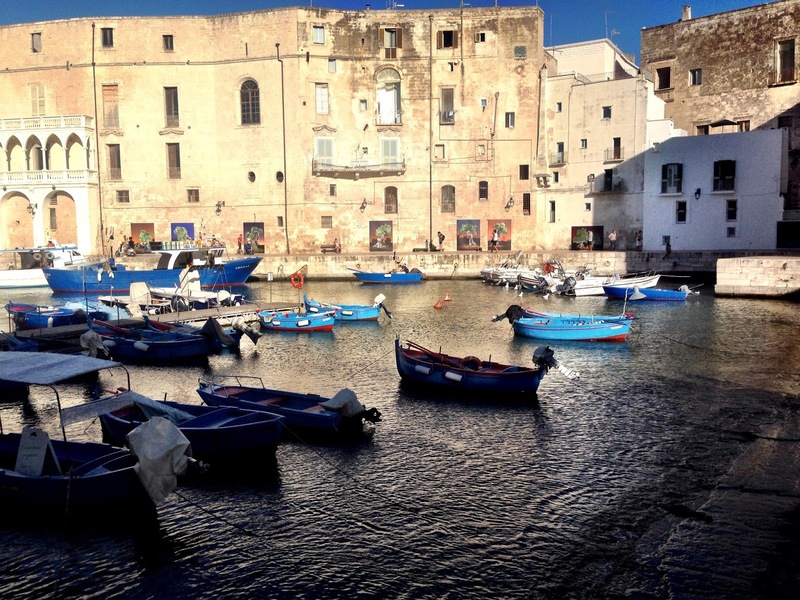 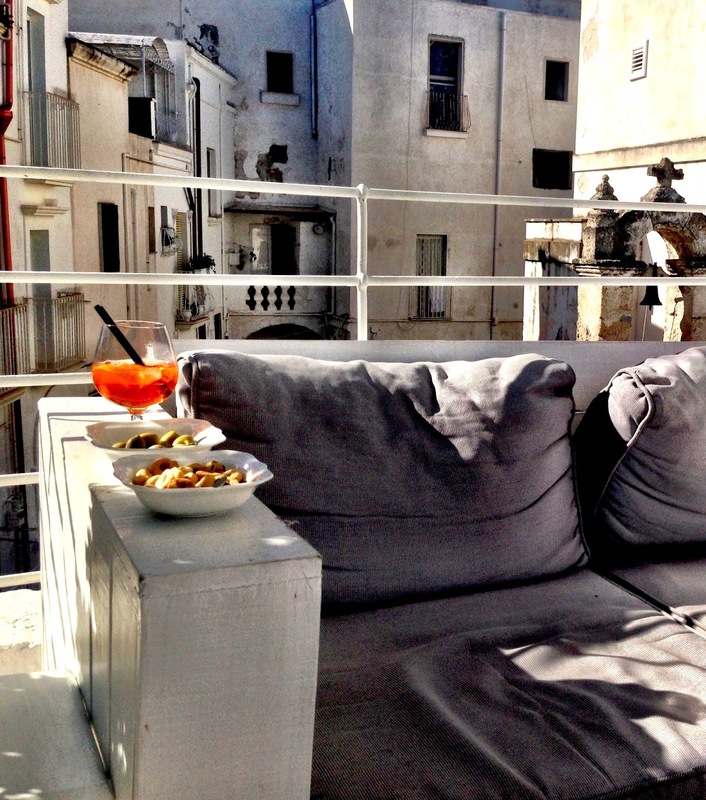 The old port town of Monopoli absolutely seduced us, and the afternoon finished with what else: Aperol spritzes on a comfy couch overlooking the Adriatic. 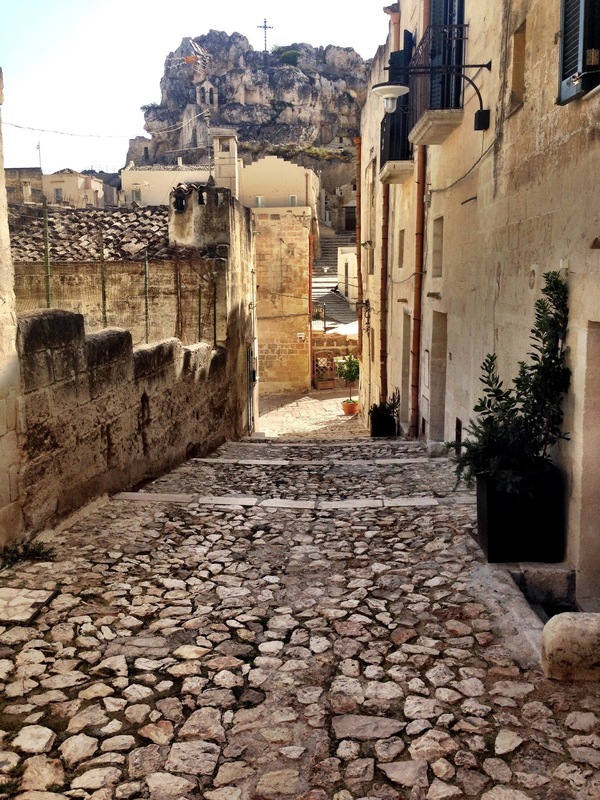 Main piazza in Cisternino, one of many small hilltop villages and towns that dot the region. 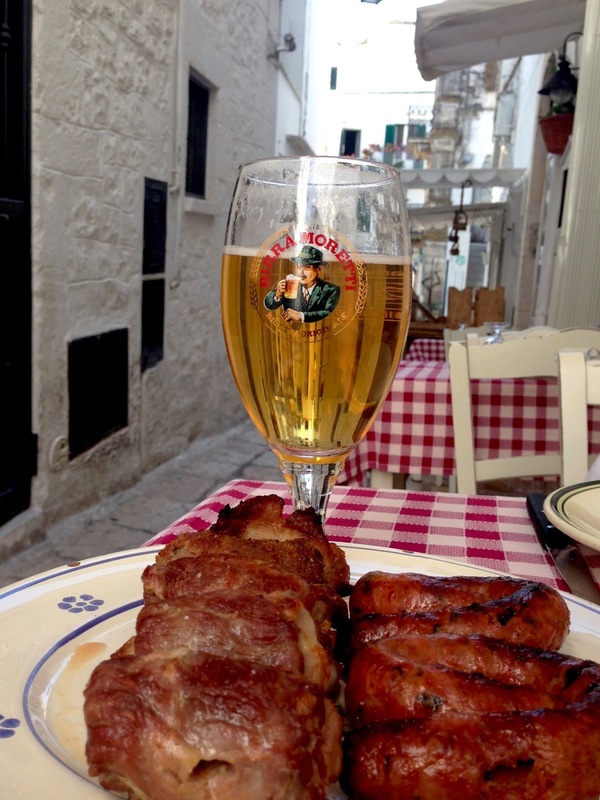 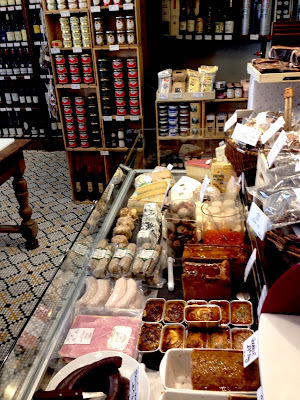 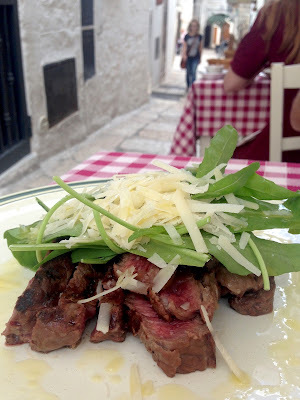 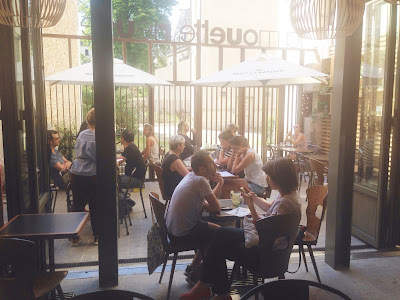 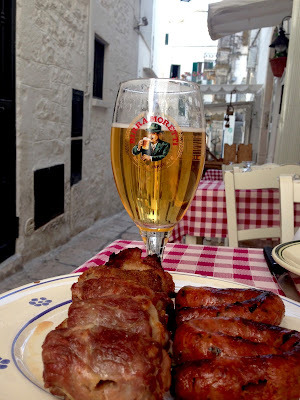 Cisternino is a carnivore's fantasy: if you get wafts of barbecue that's because small butcher counters are encrusted in restaurants where you choose what you want and it will appear on your table sizzling and char-grilled to perfection. 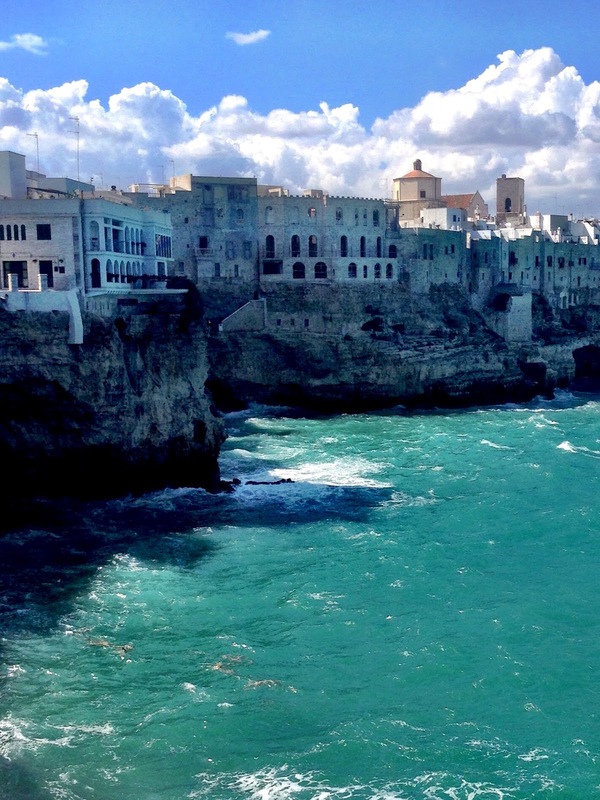 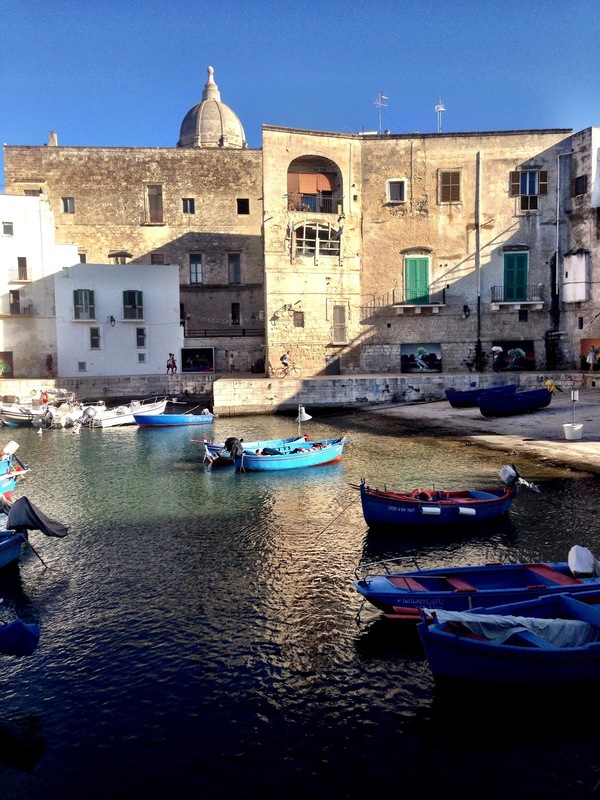 Though we've been to Italy many times this is our first trip to the "heel" of the boot, the enchanting region of Puglia in the south from where I will be posting all week. 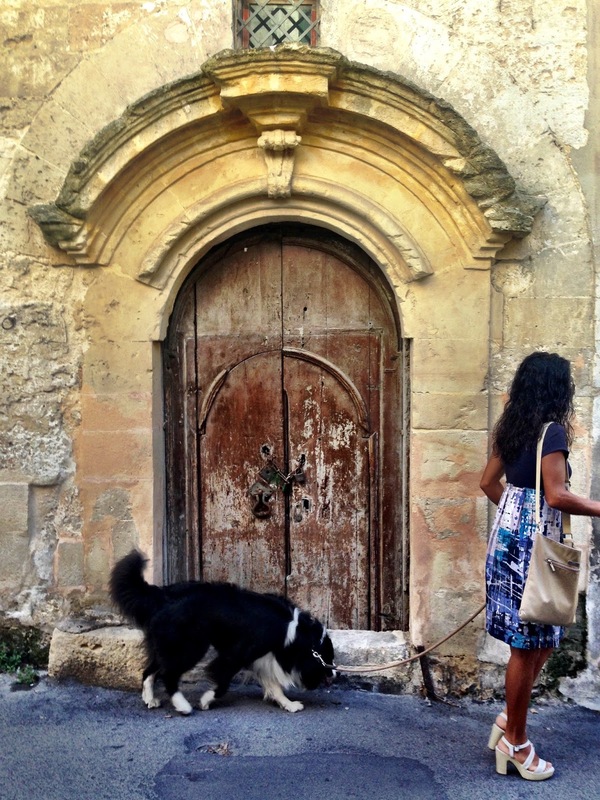 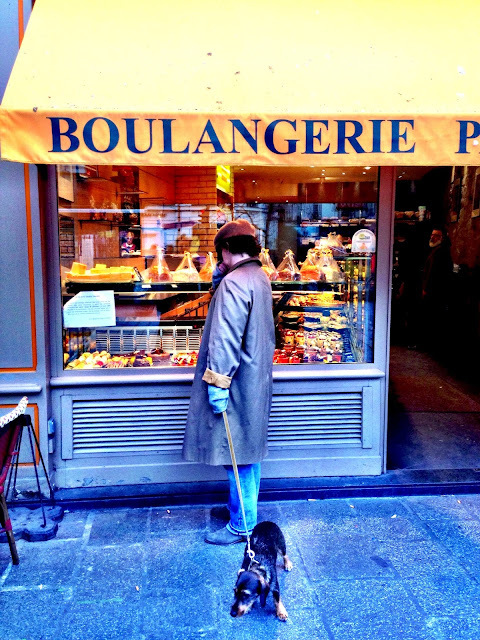 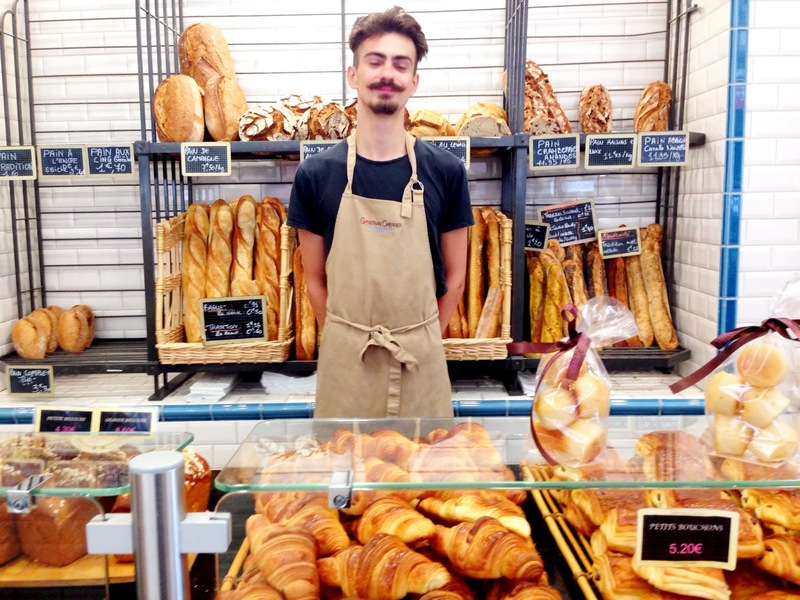 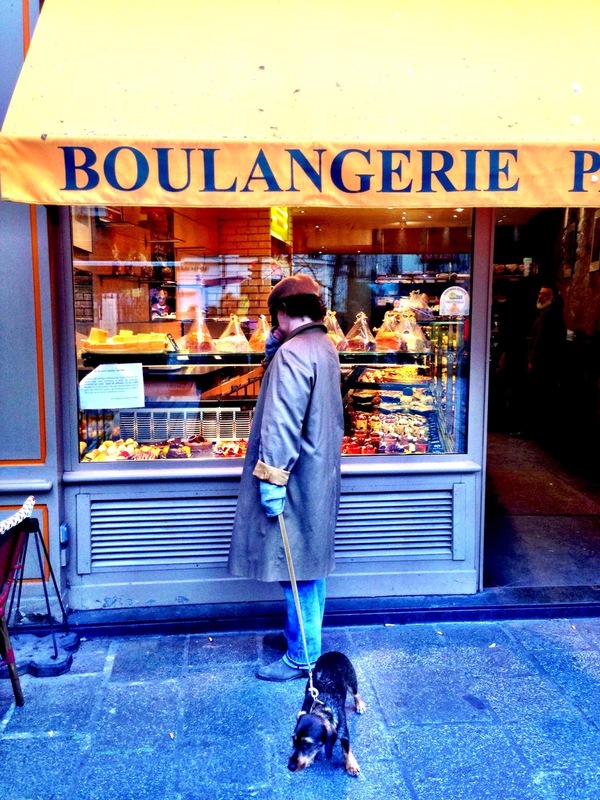 A woman stops to check out the day's pastries but her little French dachshund wants to keep moving. 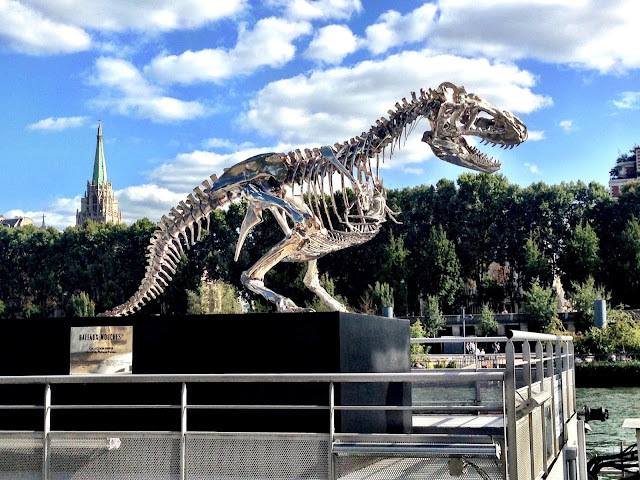 Life-sized chrome replica of a T-Rex skeleton adds zing to a stroll along the river. 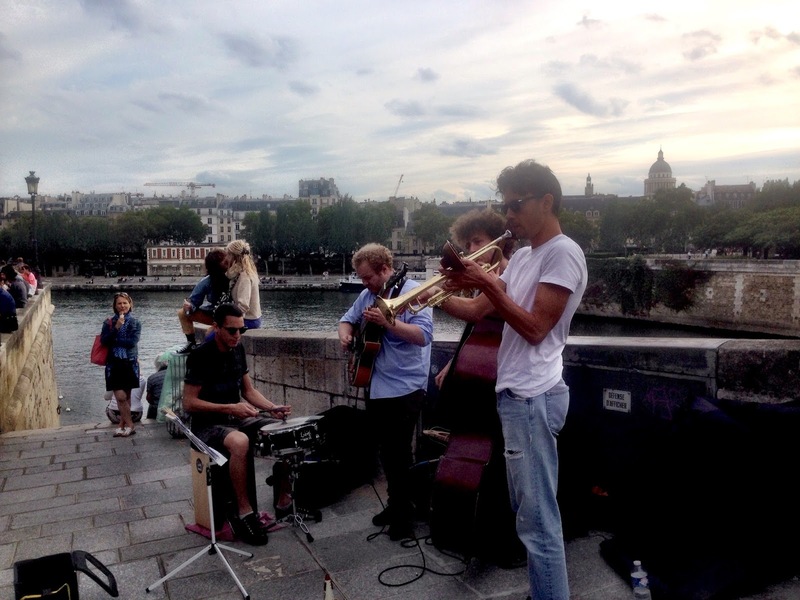 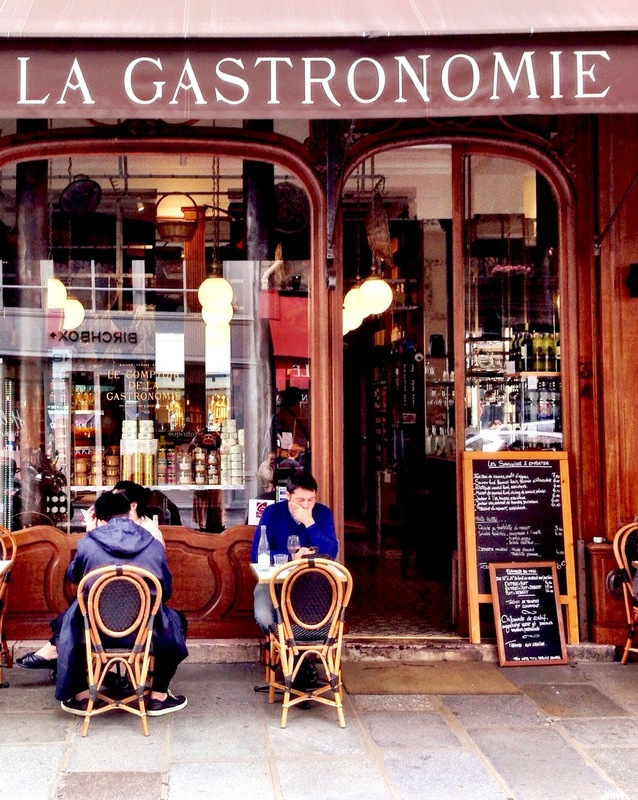 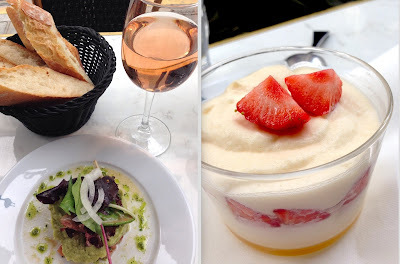 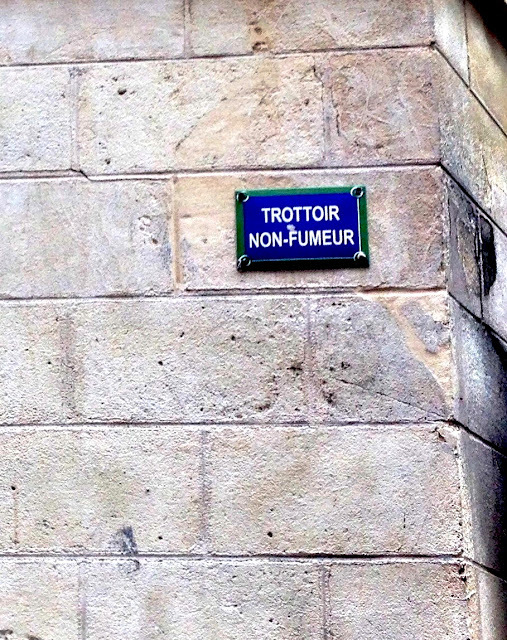 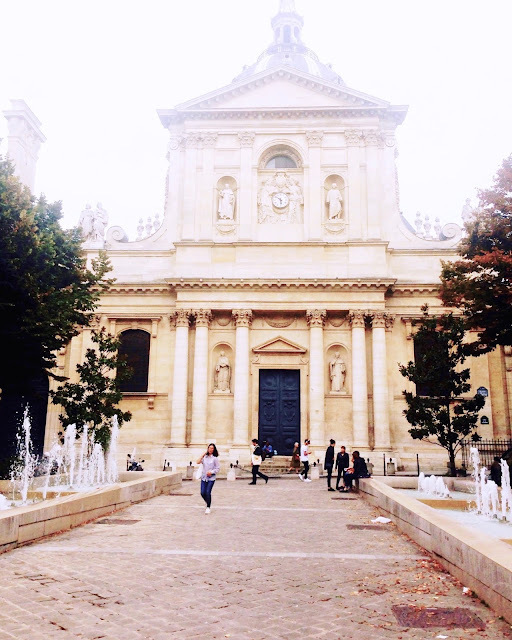 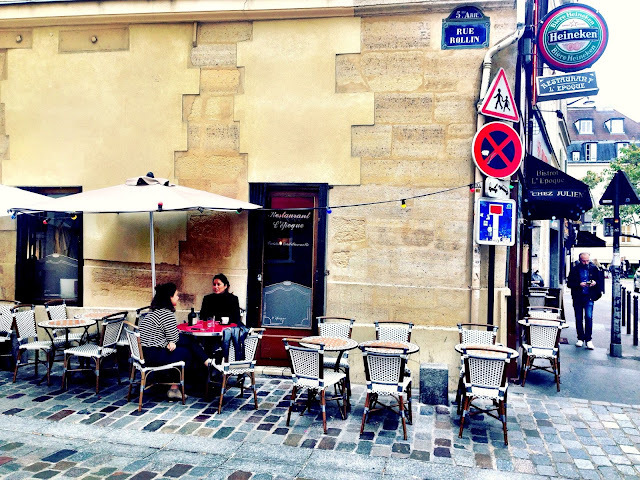 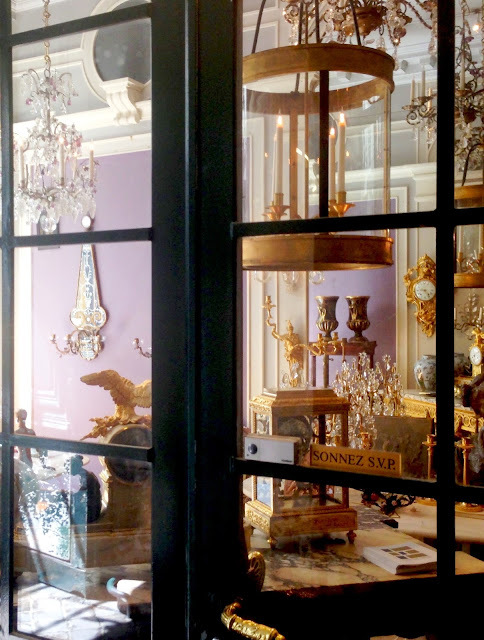 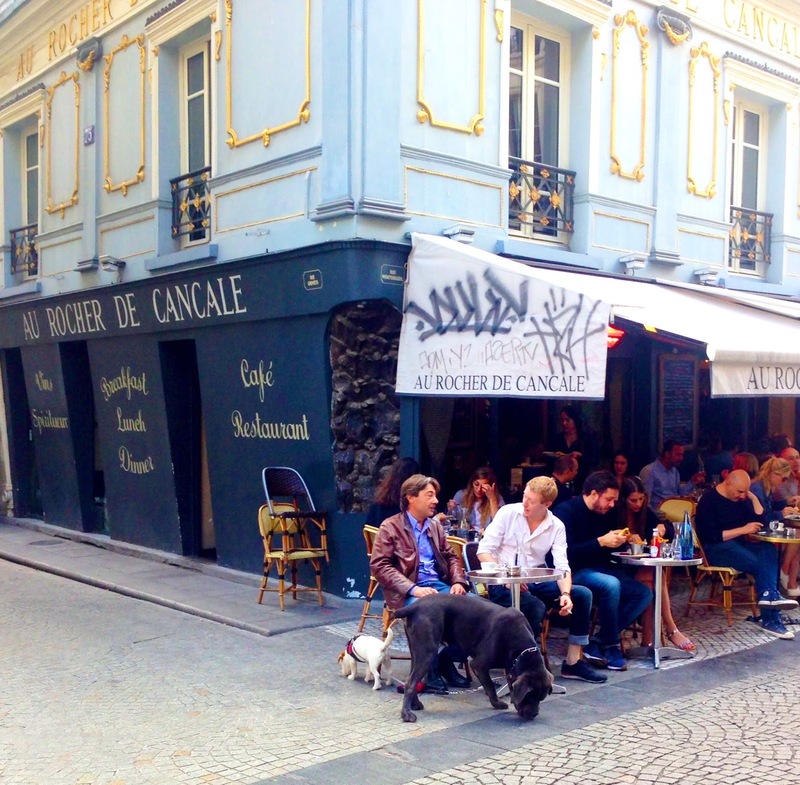 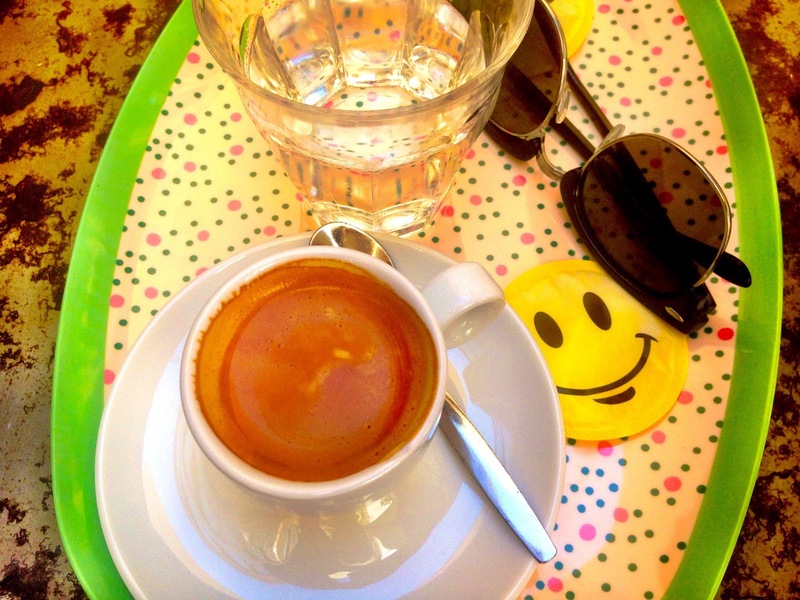 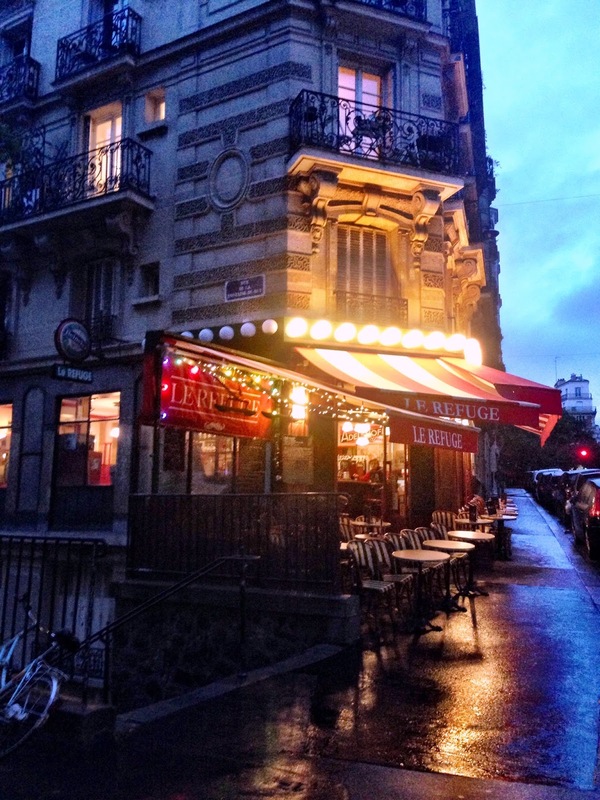 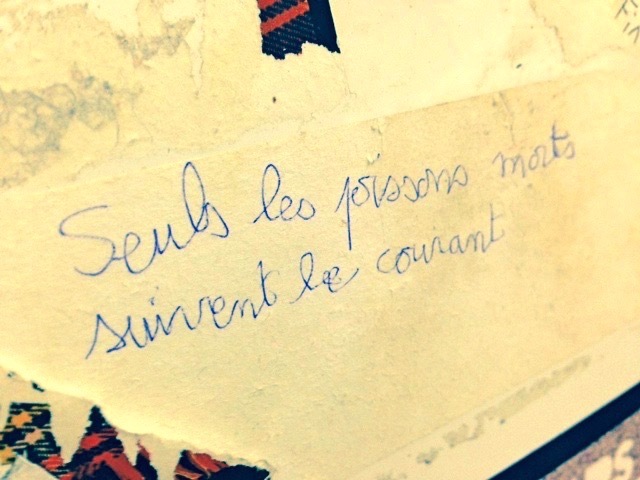 Rare and distinctive antiques are a hallmark of the rue des Saints-Pères. 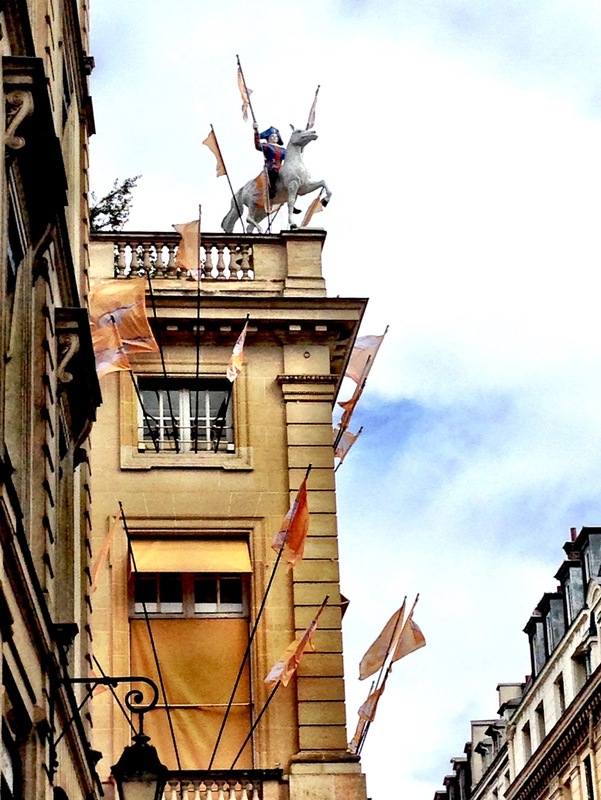 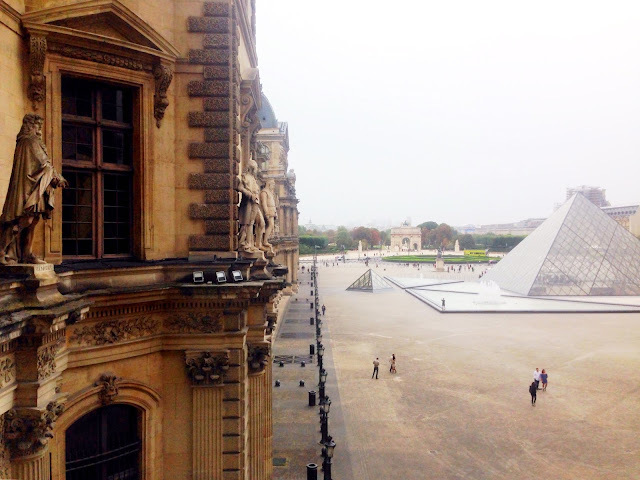 Horse and rider atop the Hermès building, a reminder of the brand's equestrian beginnings. 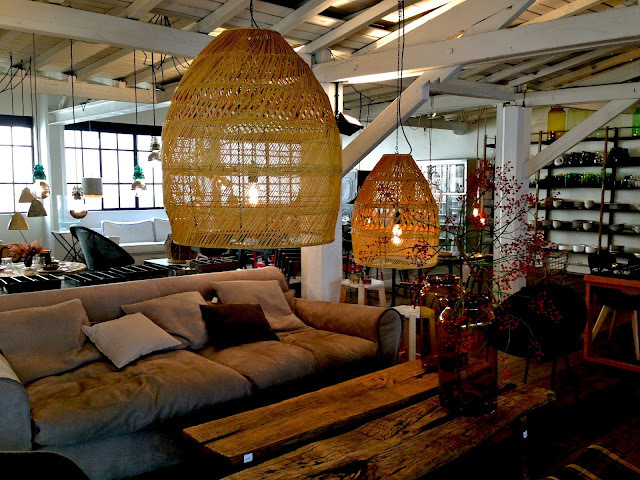 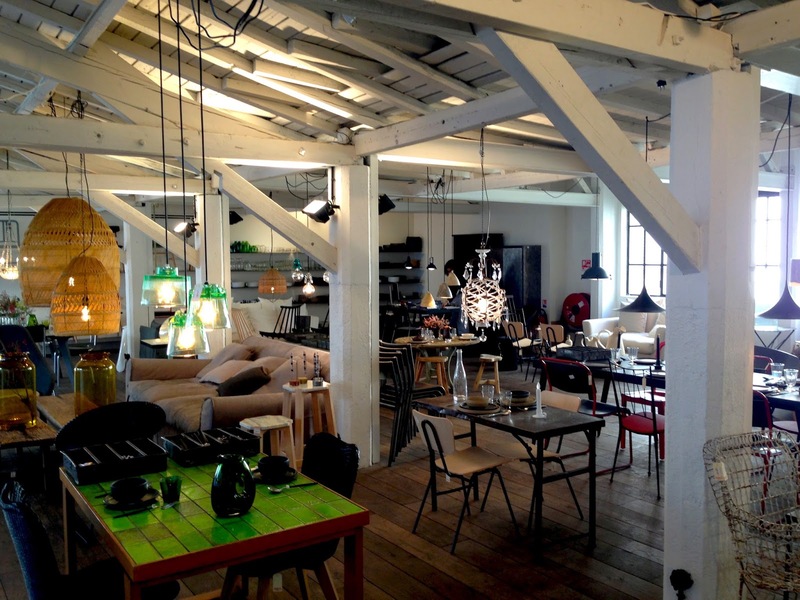 Creative furnishings fill the upstairs loft at this Marais concept store. It's early and hardly anyone is awake as cafés get ready to open.